With so many milk options available in the market today, it is best that mothers check what the nutrition labels say. The carbohydrates on nutrition facts labels can be downright confusing plus ingredients and nutritional facts on the product packaging can be misleading. More than being attracted to what is popular, mother should make sure that claims aren’t just marketing hype when shopping for milk. Another good reason to check food labels is to identify nutrients that are unique to a brand. Not all food products like milk are created equal, so choosing one that meets your child’s needs is one of the best ways to properly nourish them. Our choice of milk has a major impact on the health of our kids. By checking the nutritional labels, moms also get to check if it meets the daily nutritional requirements of children, especially during their crucial growing-up years. 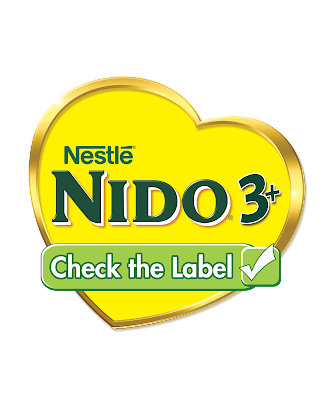 Developed by the best of Nestlé Research, NIDO® 3+ is the only milk brand with Lactobacillus PROTECTUS®. These live good bacteria maintain the balance of good and bad bacteria in the gut, which, in turn, helps strengthen the immune system. This unique probiotic can be found in every glass of NIDO® 3+ along with other essential nutrients such as Prebio® 3, indigestible fibers that serve as food for good bacteria to grow and survive; DHA, ALA, LA, and taurine to support proper brain structure; and high levels of vitamins A, D, calcium, and zinc to support overall growth and development. Having experienced the same challenge when it was time for her to choose a growing-up milk for Zion when he turned three, the first-time mom, Sarah Lahbati, learned that the best thing to do is to research and check food labels. In so doing, Sarah is assured that she made the right choice with NIDO® 3+. 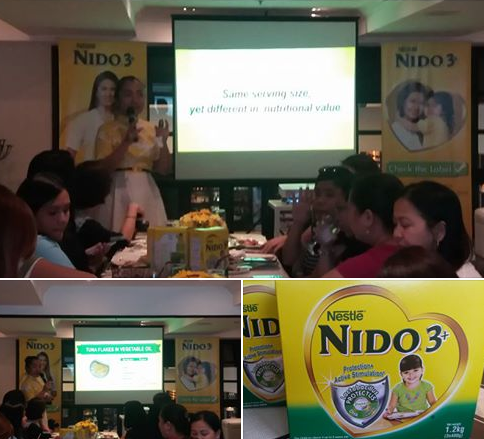 Brand ambassadress Sarah Lahbati loves NIDO for being honest – to provide a well-balanced diet to help meet the nutritional needs of toddlers, with essential vitamins and minerals which support a child’s healthy growth, development and immune system. Lahbati began checking the labels when she was pregnant. However, she believes it should start as early as possible – pregnant or not. “When I was pregnant, I became more aware because I wanted to give my baby (Zion) the other nutrients he needed while he was still inside me,” she said. “There is so much information going around, so much advice from your mom, mother-in-law, sister and auntie… and it’s always like that especially when you are a first time mom,” Sarah related. Sarah Lahbati loves NIDO for being honest – to provide a well-balanced diet to help meet the nutritional needs of toddlers, with essential vitamins and minerals which support a child’s healthy growth, development and immune system. Everyone will have opinions on what is best for your child and insist that they are right and everyone else is wrong. How do you really know what to believe? Just #CheckMoMuna and #CheckTheLabel! For more information, visit www.lakingamazing.ph.